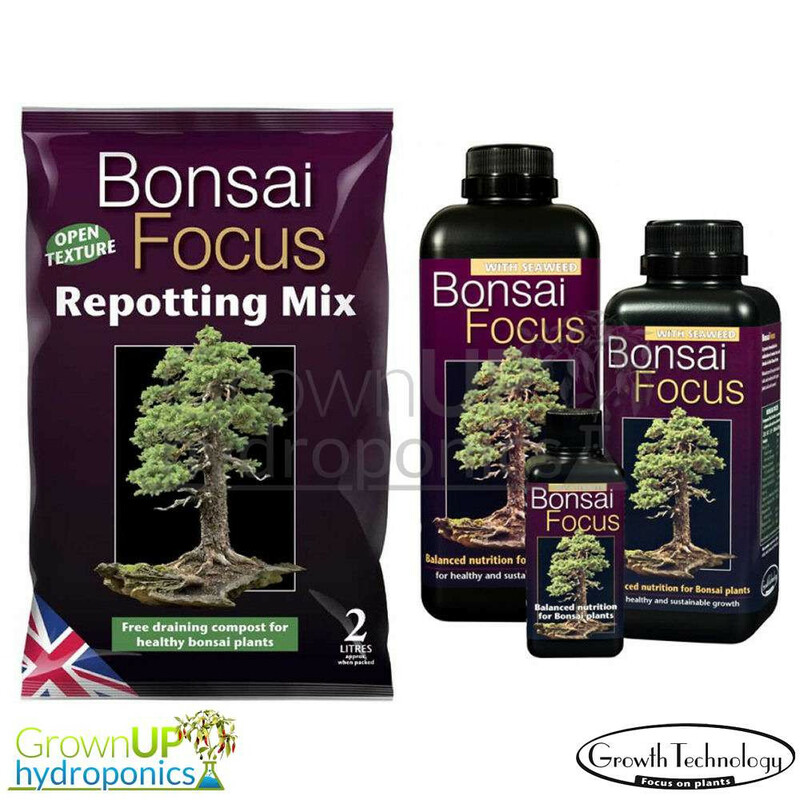 Bonsai Focus contains a scientific balance of nutrients and minerals specifically developed for the healthy growth of Bonsai. Pure mineral salts, complex organic plant acids and pure concentrates make this formulation ideal for healthy plants. We recommend feeding once a fortnight (5ml per litre) to start and water in between as needed. Bonsai Focus is non-toxic and poses no danger to the environment. When used as instructed this will help you produce bigger, healthier, more productive plants.